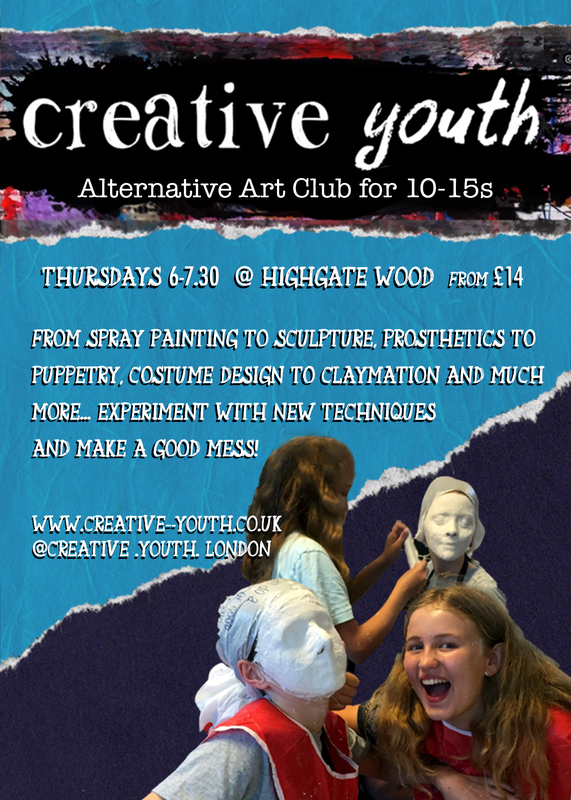 Calling all creative 10-15 year olds, we run a friendly alternative art club, with varied themes ranging from spray-painting to sculpture, prosthetics – printmaking, cartoons – costume design and more! We focus on experimentation and having fun with new media, and letting the students steer their own projects. Sessions run every Thursday during term time from 6-7.30,at Highgate Wood School, for more info visit www.creative-youth.co.uk, come join our tribe!